Thank You for Making 2018 an Amazing Year! This was a big year for Fieldgate Homes – we had a bunch of successful openings, made many significant donations to local foundations, and won a couple awards! 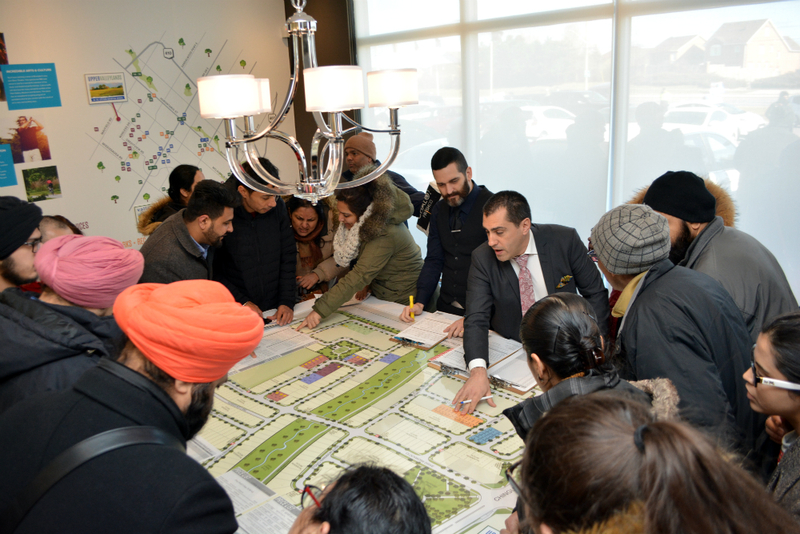 One of our most successful openings was at Upper Valleylands in Brampton back in March. The parking lot started filling up a couple hours before the opening and there was a line-up stretched across the exterior of the sales centre. 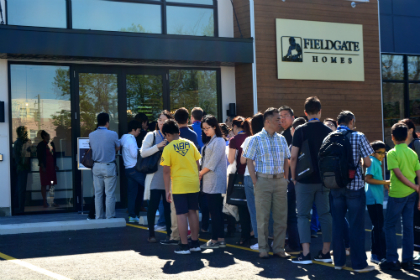 We were selling a new collection of freehold townhomes, semis, and 30’, 38’, and 41’ detached homes with 3-, 4-, and 5-bedroom floor plans. We also had successful openings at Impressions in Kleinburg and at Whitby Meadows. This was a pretty big year for Whitby because MoneySense Magazine listed it on the list of Top 25 Best Places to Live in Canada, which is a huge deal! Throughout the year, Fieldgate made donations to numerous not-for-profit organizations. 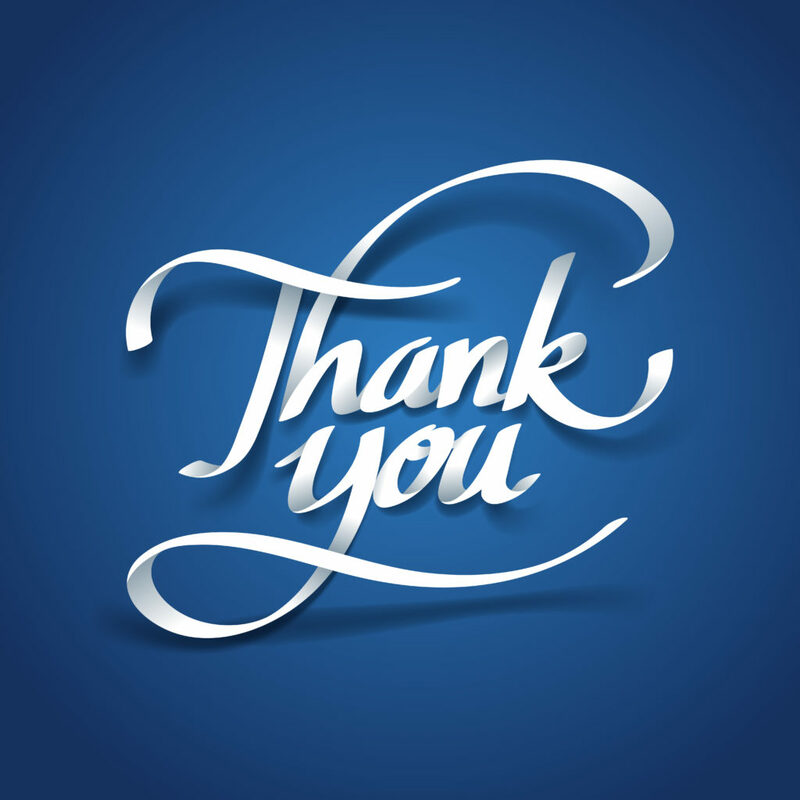 One of our greatest donations in 2018 was made in partnership between the Kohn family (Fieldgate Group of Companies) and the De Gasperis family. Together, we donated $20 million to the Mackenzie Health Foundation in support of the new Mackenzie Vaughan Hospital. “On behalf of our family, we are proud to recognize my father, the late Mr. Eugene Kohn, for his contributions to the GTA by creating the state-of-the-art Learning Centre at the Mackenzie Vaughan Hospital,” said Tom Kohn, on behalf of the Kohn, Gunsburg, Eisenberger and Jakubovic Families and the Fieldgate Group of Companies. One more highlight of 2018 for us was taking home two awards at the annual BILD Awards! We won the Pinnacle Award, Project of the Year, Low-Rise for our new Richmond Hill community, Richlands. Shoutouts to our team, Guidelines Advertising, Malone Given Parsons, The MBTW Group, and Hunt Design Associates. The second award was for Best Digital Marketing Campaign, Low-Rise for Whitby Meadows, which we worked on with Ryan Design International. From the entire Fieldgate family, we extend a big thank you to everyone who helped make 2018 an amazing year! We have plenty in the works for 2019 and can’t wait to share the details with you. Please note, as of December 21 at 7pm, our sales centres will be closed for the year. We are opening again January 12 at 12pm. Stay tuned for more info! Wishing you a happy holidays and prosperous new year!